Hey guys! Just want to quickly share this summery mani I did last week. 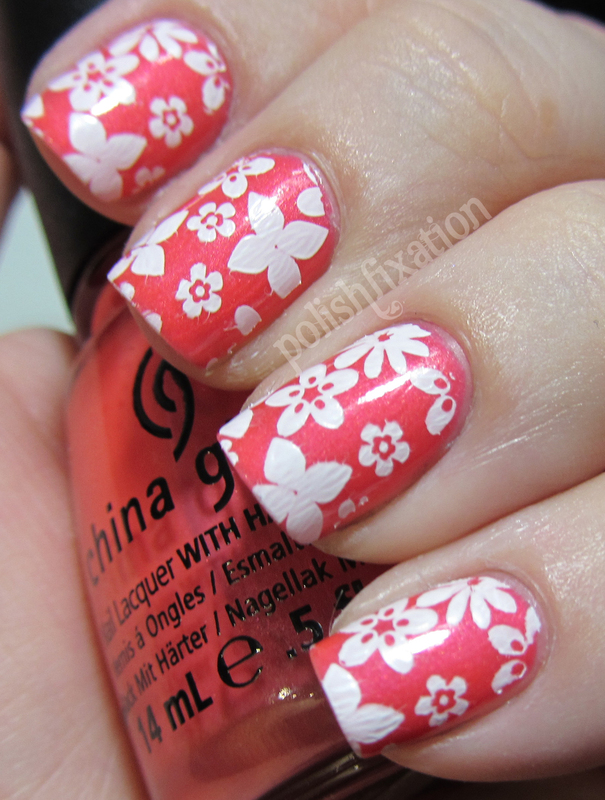 This is China Glaze Flirty Tankini from the Summer Neons collection stamped with Konad White stamping polish. 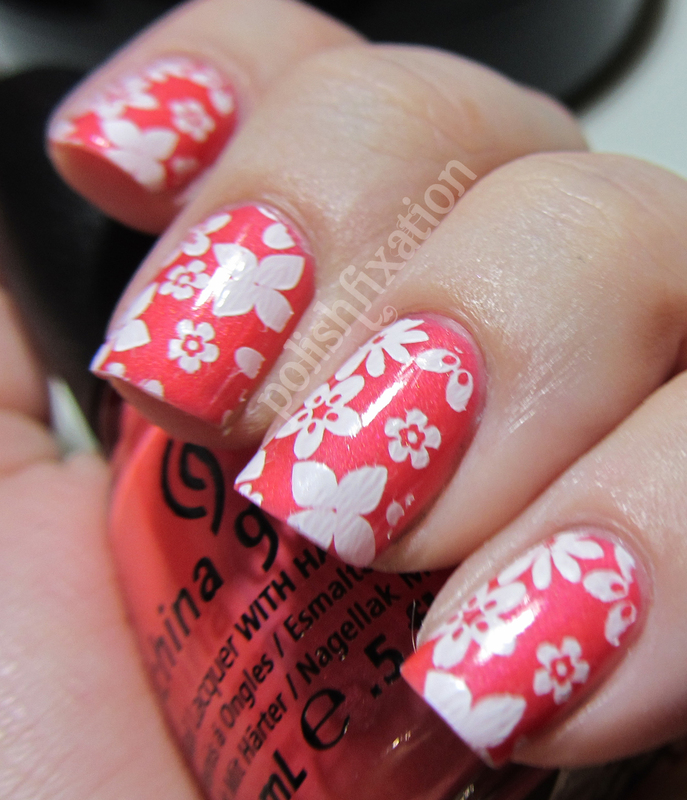 The image can be found on the Fab Ur Nails Fun 2 large image plate. I love these flowers and the neon just makes it scream summer. What have you been sporting on your nails this summer? You totally need to go boogie boarding or something with these, it just screams for it!